The law has finally caught up with a woman who failed to return a Jennifer Lopez film she borrowed nine years ago. 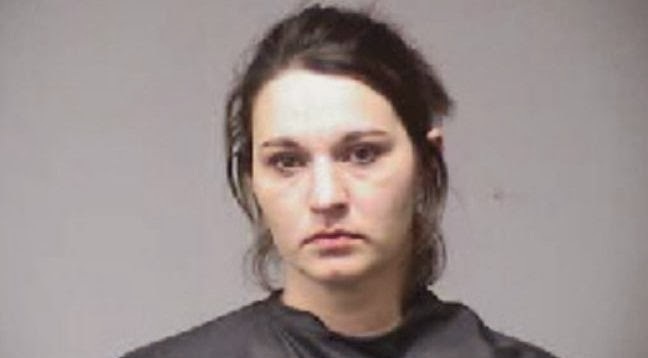 Kayla Michelle Finley, from South Carolina in the United States, was shocked when she was arrested for not returning Monster-in-Law to Dalton Video. Despite now being closed, the owner of the store had filed a warrant against Finley in 2005 – the film’s year of release. ** Clone Jennifer Lopez Breathy Voice? But the 27-year-old was left angered after she had to stay in jail for a night – and said the whole incident was a waste of police time. Ms Finley was charged with failure to return a video or cassette after going to report another matter to the police. Romantic comedy Monster-in-Law starred Jennifer Lopez and Jane Fonda.